SDSU Researcher Guadalupe X. “Suchi” Ayala. To Read this Article on the SDSU NewsCenter click here. Chancellor Timothy P. White has honored SDSU researcher Guadalupe X. “Suchi” Ayala for her groundbreaking achievements, and her exemplary impact on students. Guadalupe X. “Suchi” Ayala’s scholarly and community-based work to help improve the overall health and wellness of some of the most underserved people began with the influential teachings of her parents, Reynaldo and Marta Ayala. Reynaldo, an SDSU Imperial Valley emeritus professor, and Marta, who served as director of the SDSU Imperial Valley library, urged her: Be sensitive to the realities of people living along the border and in communities around the world and in your service to others, do not merely seek short-term solutions, but build lasting infrastructure that helps people to be able to lead and live better lives. Ayala, also the director of the Institute for Behavioral and Community Health, has collaborated with other researchers to improve healthcare in a way that has allowed practitioners to provide a more tailored service to their patients. She teaches students how to develop and implement health campaigns utilizing social media platforms, and she has worked with small-to-medium-sized grocery stores (tiendas) to identify targeted marketing tactics encouraging customers to choose more fruits and vegetables. Also, Ayala and her colleagues are currently working with healthcare organizations serving hard-to-reach populations and involving epidemiologists, geographers and computational scientists, to harness massive amounts of data in ways commonly used by university researchers. That data mining will help identify ways of improving patient care. For Ayala’s substantive body of research, innovative teaching abilities and transformative community-based work, she has received the highest honor the California State University Chancellor’s office grants: the 2019 Wang Family Excellence Award for Outstanding Faculty Scholarship. Ayala and four other recipients will each receive a $20,000 award established through a gift from CSU Trustee Emeritus Stanley T. Wangand administered through the CSU Foundation. When Ayala was honored on Jan. 22, during the system’s board meeting in Long Beach, her parents – those responsible for training her toward the transformational work she leads – were seated in the audience.  Ayala is the third SDSU leader to have received the CSU award: former SDSU President Sally F. Roush received the award in 2004 for administrators; Margaret McKerrow, professor emerita in the School of Theatre, Television, and Film, won in the category of Visual and Performing Arts and Letters in 2002. Ayala has been successful in securing millions of federal and private dollars to support the public health research, interdisciplinary student training and new partnerships necessary to improve the overall health of some of the most vulnerable members of the regional community. While she has conducted and led studies to treat conditions such as obesity, diabetes and asthma, she is driven to promote disease prevention. Most recently, she and Kristen J. Wells, a psychology professor at SDSU, received one of the largest grants in university history: a $19.9 million National Institute of Health grant that is funding the SDSU HealthLINK Center for Transdisciplinary Health Disparities Research. Center researchers are partnering with community health organizations to improve institutional research infrastructure to accelerate critical health research and services. The transdisciplinary center is poised to help significantly improve the overall wellbeing of the most underserved populations in San Diego and Imperial counties. “We cannot keep doing the same things the same way to address health disparities. We must start thinking differently, and I have found that, to do so, I must look outside of my field for help with solutions,” Ayala said. “This is not about creating massive change at once, but it is about incremental changes that will be sustainable over time,” she said. 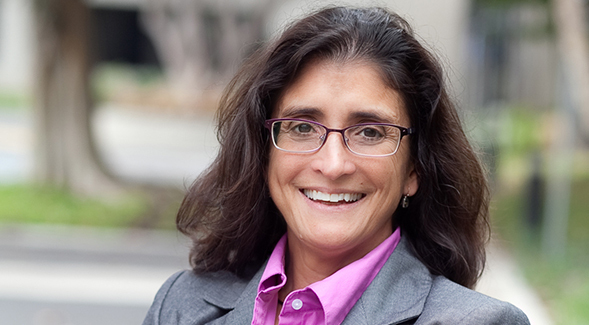 SDSU Provost Joseph Johnson lauded Ayala for significantly exceeding expectations in her contributions to the students, the university and the broader community. “The work Ayala leads is contributing significantly to new infrastructure, on and off campus, new partnerships and also research and programs that benefit the overall health of our community members,” Johnson said.